With specifically chosen ingredients to help you achieve those all-important gains, our Extreme Gainer Blend is perfect for anyone looking to bulk up. Packed with protein and crammed with carbs, our Extreme Gainer Blend is a beasty bulk up companion1 — delivering much-needed nutritionals to support your goals. 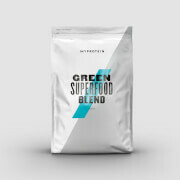 We’ve added a vitamin and mineral blend boasting great health benefits for everyday well being. We’ve also included creatine, which helps you push towards peak performance,5 and increase muscle strength and size. Plus, we've added glutamine — an amino acid which supports muscle function and naturally occurs in protein, which helps to repair new muscle —so you’re always ready for the next workout. 2. Vitamin C supports immune function. 3. Magnesium contributes to normal muscle function, and contributes to the maintenance of normal bones. 4. Vitamin B6 contributes to normal metabolism. 5. Creatine is proven to increase physical performance in successive bursts of short-term, high-intensity exercise. The beneficial effect is obtained with a daily intake of 3 g of creatine. When to take Extreme Gainer Blend? Reap the benefits by enjoying this shake first thing in the morning, pre or post-workout, or any time you feel the need to fuel your day. Add 3 ½ large scoops (125g) to milk or water and shake for 30 seconds. What does Extreme Gainer Blend work well with? Extreme Gainer Blend is the ultimate formula for putting on mass1 and is crammed with additional vitamins and minerals. 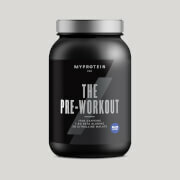 To give you a boost before the gym, try THE Pre-Workout™ to get you fired up and ready to push towards your goals. Chocolate Smooth: Maltodextrin, Whey Protein Concentrate (Whey Protein Concentrate, Sunflower Lecithin), Whey Protein Isolate (Whey Protein Isolate, Sunflower Lecithin), Natural & Artificial Flavoring (Natural & Artificial Flavor, Cocoa Powder, Sucralose, Acesulfame K, Salt), Fructose, Milk Protein Concentrate, Calcium Caseinate, Medium Chain Triglycerides, Oat Flour, L Glutamine, Creatine Monohydrate, Flax Seed Powder, Xanthan Gum, Multi Vitamin Powder (Magnesium Oxide, Vitamin C, Ferrous Fumarate, Vitamin E (DL-Alpha Tocopheryl Acetate), Niacin (Niacinamide), Vitamin A, Zinc Oxide, Vitamin B6 (Pyridoxine Hydrochloride), Vitamin D3, Thiamine, Riboflavin, Potassium, Iodine) DigeZyme ® (Amylase, Lactase, Cellulase, Protease, Lipase). (Magnesium Oxide, Vitamin C, Ferrous Fumarate, Vitamin E (DL-Alpha Tocopheryl Acetate), Niacin (Niacinamide), Vitamin A, Zinc Oxide, Vitamin B6 (Pyridoxine Hydrochloride), Vitamin D3, Thiamine, Riboflavin, Potassium, Iodine) Digezyme® Enzyme Blend (Amylase, Lactase, Cellulase, Protease, Lipase). & Artificial Flavoring (Natural & Artificial Flavor, Gum Arabic, Sucralose, Acesulfame K), Fructose, Milk Protein Concentrate, Calcium Caseinate, Medium Chain Triglycerides, Oat Flour, L Glutamine, Creatine Monohydrate, Flax Seed Powder, Xanthan Gum, Multi Vitamin Powder (Magnesium Oxide, Vitamin C, Ferrous Fumarate, Vitamin E (DL-Alpha Tocopheryl Acetate), Niacin (Niacinamide), Vitamin A, Zinc Oxide, Vitamin B6 (Pyridoxine Hydrochloride), Vitamin D3, Thiamine, Riboflavin, Potassium, Iodine) Digezyme® Enzyme Blend (Amylase, Lactase, Cellulase, Protease, Lipase). Whey Protein Isolate (Whey Protein Isolate, Sunflower Lecithin), Natural And Artificial Flavoring (Natural And Artificial Flavoring, Sucralose, Acesulfame K), Fructose, Milk Protein Concentrate, Calcium Caseinate, Medium Chain Triglycerides, Oat Flour, L Glutamine, Creatine Monohydrate, Flax Seed Powder, Xanthan Gum, Multi Vitamin Powder (Magnesium Oxide, Vitamin C, Ferrous Fumarate, Vitamin E (DL-Alpha Tocopheryl Acetate), Niacin (Nicotinamide), Vitamin A, Zinc Oxide, Vitamin B6 (Pyridoxine Hydrochloride), Vitamin D3, Thiamine, Riboflavin, Potassium, Iodine) Digezyme® Enzyme Blend (Amylase, Lactase, Cellulase, Protease, Lipase). 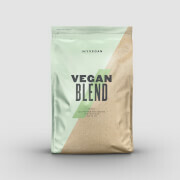 Mocha: Maltodextrin, Whey Protein Concentrate (Whey Protein Concentrate, Sunflower Lecithin), Whey Protein Isolate (Whey Protein Isolate, Sunflower Lecithin), Natural & Artificial Flavoring (Natural & Artificial Flavor, Cocoa Powder, Sucralose, Modified Food Starch, Acesulfame K, Salt), Fructose, Milk Protein Concentrate, Calcium Caseinate, Medium Chain Triglycerides, Oat Flour, L Glutamine, Creatine Monohydrate, Flax Seed Powder, Xanthan Gum, Multi Vitamin Powder (Magnesium Oxide, Vitamin C, Ferrous Fumarate, Vitamin E (DL-Alpha Tocopheryl Acetate), Niacin (Niacinamide), Vitamin A, Zinc Oxide, Vitamin B6 (Pyridoxine Hydrochloride), Vitamin D3, Thiamine, Riboflavin, Potassium, Iodine) Digezyme® Enzyme Blend (Amylase, Lactase, Cellulase, Protease, Lipase). Chocolate: Ready-to-mix protein & carbohydrate powder blend, with added flaxseed flour and medium chain triglyceride powder. Chocolate flavour with sweetener. Vanilla: Ready-to-mix protein & carbohydrate powder blend, with added flaxseed flour and medium chain triglyceride powder. Vanilla flavour with sweetener. Strawberry: Ready-to-mix protein & carbohydrate powder blend, with added flaxseed flour and medium chain triglyceride powder. Strawberry flavour with sweetener. Salted Caramel: Ready-to-mix protein & carbohydrate powder blend, with added flaxseed flour and medium chain triglyceride powder. Salted Caramel flavour with sweetener. Mocha: Ready-to-mix protein & carbohydrate powder blend, with added flaxseed flour and medium chain triglyceride powder. Mocha flavour with sweetener. Cookies and Cream: Ready-to-mix protein & carbohydrate powder blend, with added flaxseed flour and medium chain triglyceride powder. Cookies and Cream flavour with sweetener. Cinnamon: Ready-to-mix protein & carbohydrate powder blend, with added flaxseed flour and medium chain triglyceride powder. Cinnamon flavour with sweetener. This mass gainer mixes a little thick but it’s fine if you split the serving or use a large blender bottle. My only gripe is that the mix is very sweet. I got the cinnamon roll flavor to try it and am so glad that I did. It mixes well and tastes even better my friend is buying some after I gave him a taste. I am really happy to got the delivery in the very less time and the product is also good. Highly recommend trying Strawberry Cream flavor. Takes about 3 weeks to notice any changes to weight & muscles. Shake well to 1-2 minutes. Great results show with patience. The nutrition info lines up with the product packaging in hard gainrr extreme v2. To those guys on the fence after reading the other review, go ahead and get this. Its the real deal. Also, chocolate flavour is chocolate smooth like the myprotein whey. I think the complaints for this are mostly about the flavored versions. I always try to avoid artificial sweeteners and flavors in protein, they taste and feel awful. I buy the unflavored version when I bulk and put it in a blender with either ice cream or frozen fruit and some coconut milk. I would not dare mix this with just water and try to down it. I don't have much of an appetite, but I can still drink two servings (250g) of this in like 20 minutes and still feel hungry after. I feel so much better when I take this rather than trying to bulk on oatmeal and bread. It has a lot of vitamins and minerals, so all I have to take later is zinc. It's really helpful since multivitamin pills don't get absorbed by the body.